Don’t stand by. STAND up! : What’s the Deal with Our Generation? 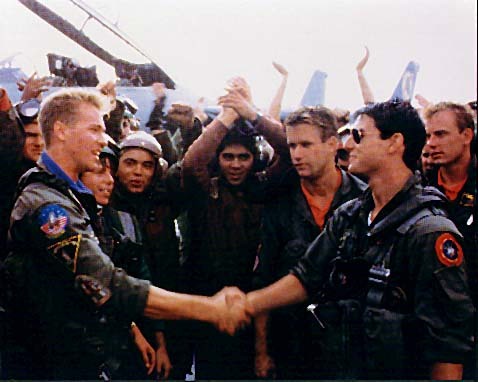 Maverick and Iceman are rivals. 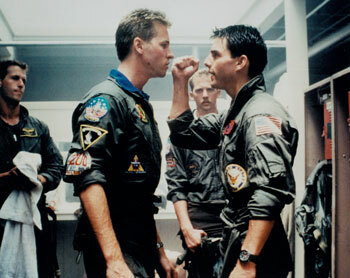 They are competing for the Top Gun prize and seem to hate each other. But eventually they come together and get all buddy-buddy. 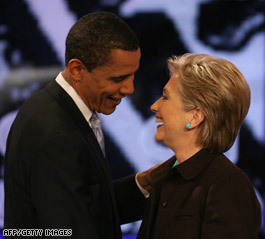 Well Obama and Clinton seemed to make the same relationship journey today at the California Democratic Presidential debate. Pennsylvania Federation of College Democrats – PA COLLEGE DEMOCRATS TO HOLD ANNUAL STATEWIDE CONVENTION IN PHILADELPHIA – APRIL 11-13. The Associated Press: Will Young Voters Have an Impact? MyDD :: South Carolina: Youth Turnout Triples. Again. Calitics:: California Democratic Primary – What are you seeing? Will youth reshape ’08 presidential race?